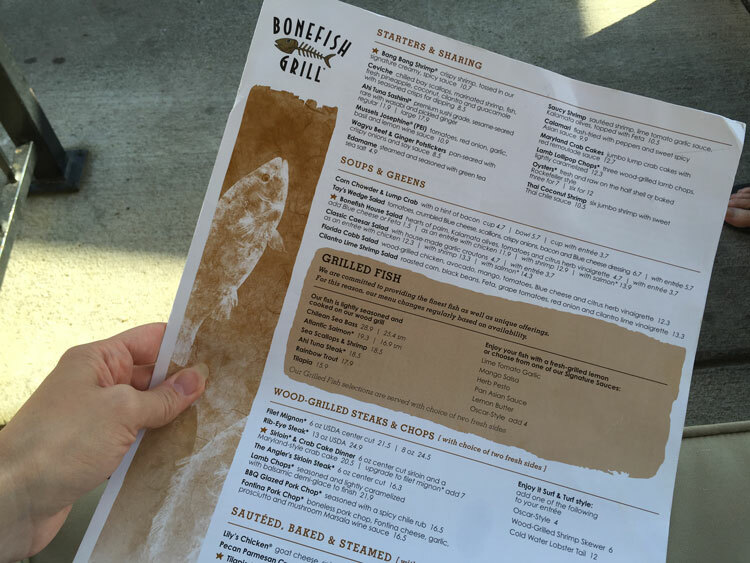 Disclosure: I was provided a gift card to try out the Bonefish Grill Summer Menu. I grew up on the West Coast, so seafood is something I grew up eating a few times a week. Now that I am land locked in Colorado, I find that I no longer eat seafood as regularly. When I do eat seafood, it is usually at restaurants, one of my favorite seafood restaurants, being Bonefish Grill. 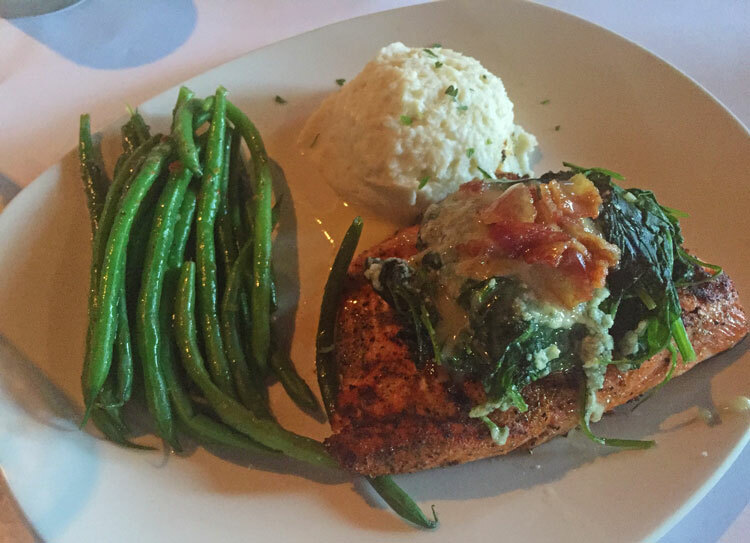 Bonefish Grill has that fine-dining experience feel, but also is reasonably priced. This means I can dine there frequently without feeling like it is a place only for special occasions. They have a delicious variety of seafood, steaks, chops and more. So much more than just trout, tilapia, and sea bass on the menu (pleasing to those non-seafood loving family members). The Bonefish Grill Summer Menu is currently available with new options and award winning flavors! 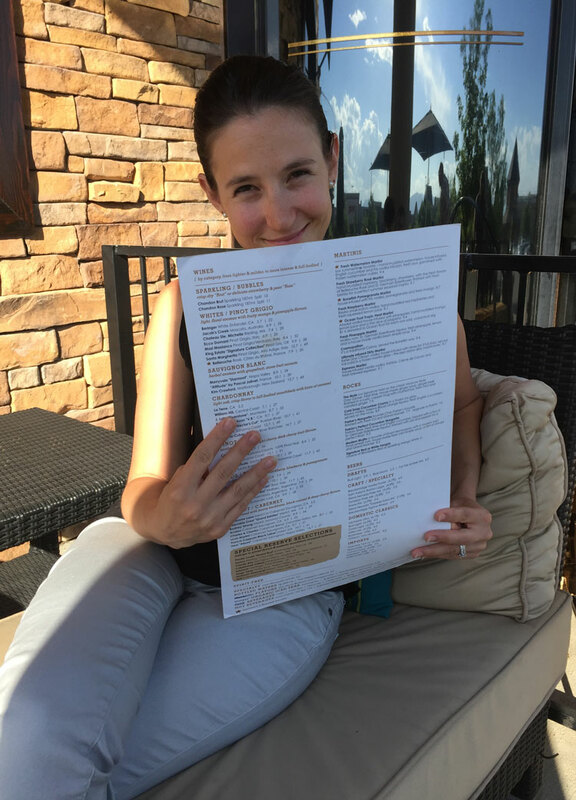 We pursed the grand menu while sitting outside in the lovely summer air. It only took a short while before we were seated! 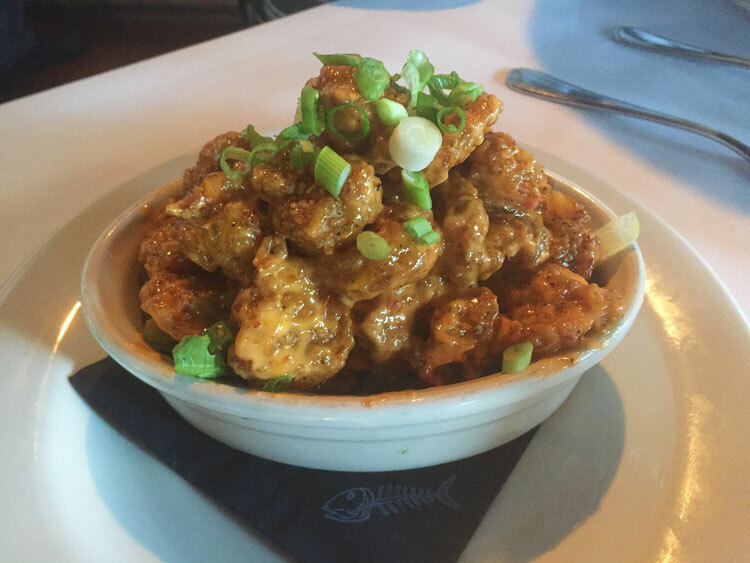 We have never waited long for a table when dining at Bonefish Grill. We got our drinks quickly – and the bread basket came next. Dessert was a special treat. 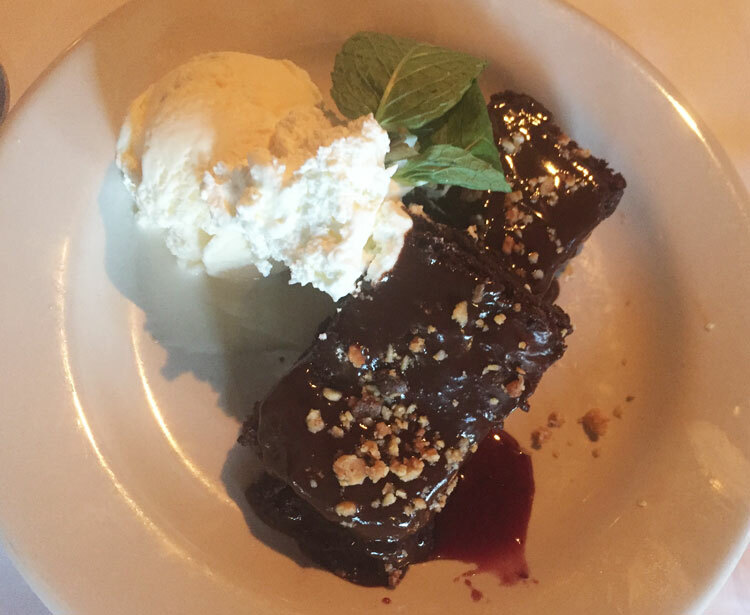 Often times there is nothing on the dessert menu that I can order, however at Bonefish there are a few choices! We shared the Macadamia Nut Brownie! Although it doesn’t sound gluten-free, it is gluten-free – made flourless! It has a raspberry sauce, sprinkled with macadamia nuts and comes with a side of vanilla ice cream. What a wonderful way to end our dining experience! We just love Bonefish Grill. My husband and I enjoyed appetizers, drinks, dinner and even dessert on our evening out! It was a lovely date night! omg i am so jelly right now I seriously love bonefish grill! I will def have to check out the summer menu! That sounds like a fantastic date night! I love that more and more restaurants have extensive gluten free menus since so many people are gluten free now. This food looks amazing. I will have to see if there is a Bonefish Grill near me. I bet the food were delicious! We’ve been to Bonefish Grill once and we totally enjoyed our food. Ughhhh I miss bonefish!!! When I lived inOrlando I went all the time! Now I live hours from the closest one :-/ the summer menu does sound rather tasty though!!!!! 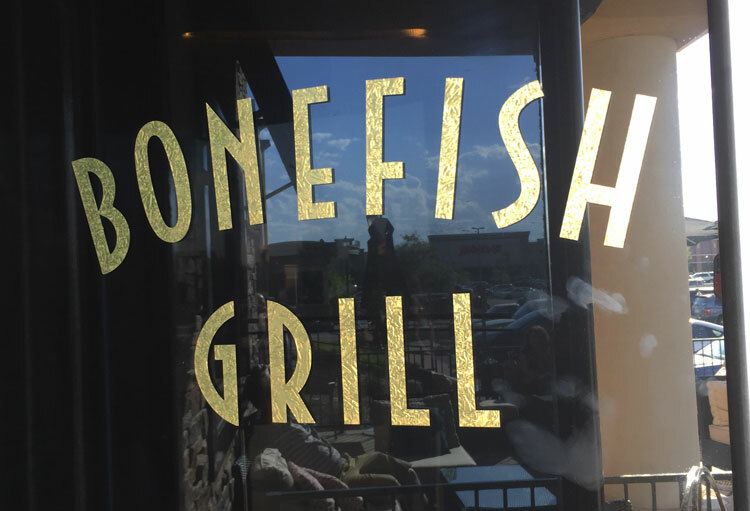 We have a Bonefish Grill, but I haven’t been yet. 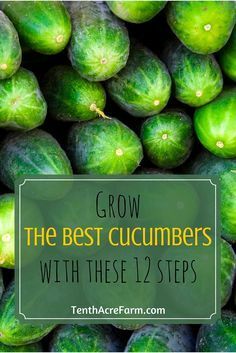 It’s on my to-do list. Looks amazing and sounds like a great place to eat. Thank you for sharing.